I specialize in developing strategies to grow your leadership team and bottom line, while having fun! Through my extensive industry experience and business knowledge, you gain a trusted partner who provides the support you need to achieve your dreams. 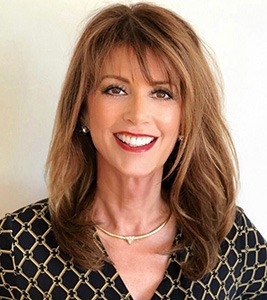 With over 35 years of unprecedented industry experience, Lori has a successful track record of coaching owners to dramatically increase sales and profits. She has the proven ability to quickly analyze key business drivers and works with you to develop strategies to grow the bottom line. Over an impressive, award winning career, she provided the vision and leadership to grow a $2 million Salon & Spa company to a profitable $68 million market leader. Lori is the creator of IMPACT: 7-Steps to Explosive Growth! webinar series. This live, fully-interactive webinar is a proven system on how to build leaders and grow your revenue and profits through a step-by-step, hands on approach. With Lori’s guidance and mentorship, your goals are achieved, profits are increased, and leaders are developed!